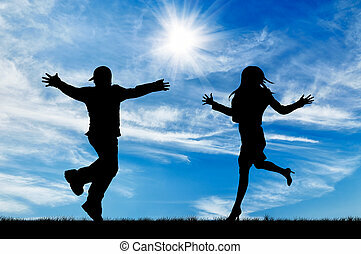 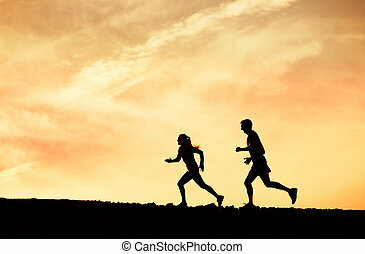 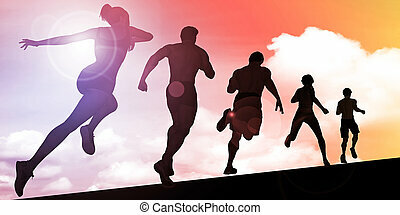 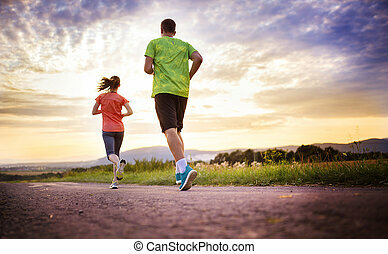 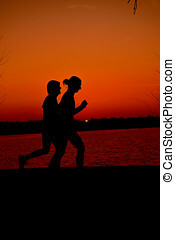 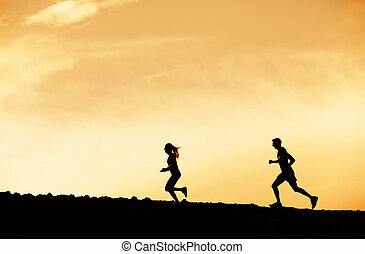 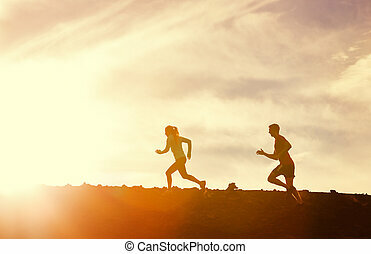 Silhouette of man and woman running jogging together into sunset, wellness fitness concept. 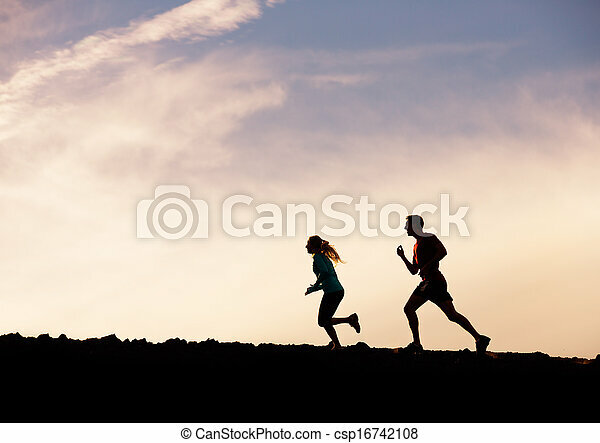 Woman running marathon on beautiful golden summer sunset background in rural road. 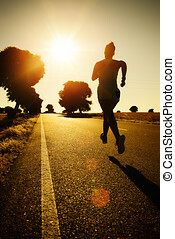 Female athlete fitness girl training and exercising towards the bright light of sun. 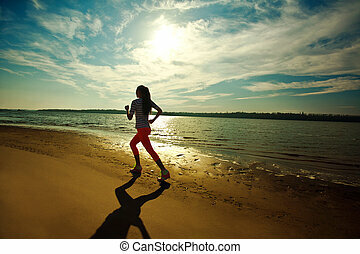 Young slim woman on water at river coast, fitness and heath care concept, outdoors. 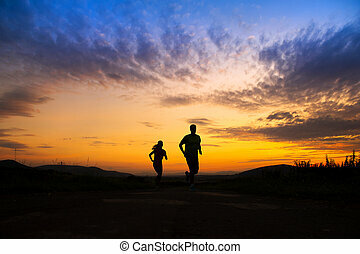 Sunset with dramatic sky. 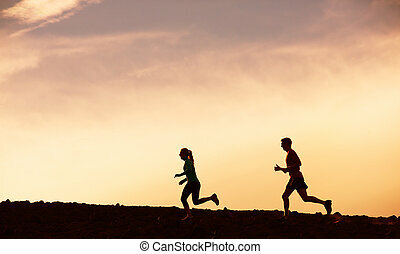 Cross-country trail running people at sunset. 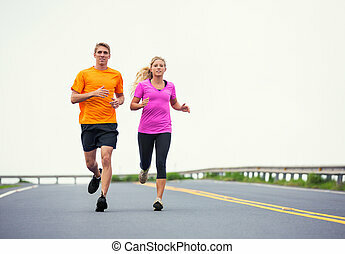 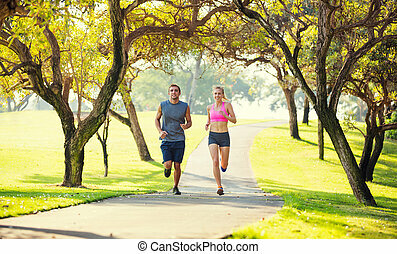 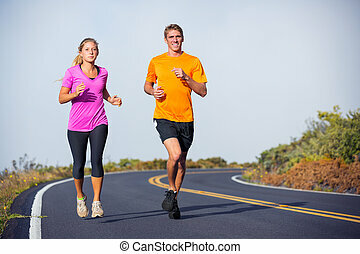 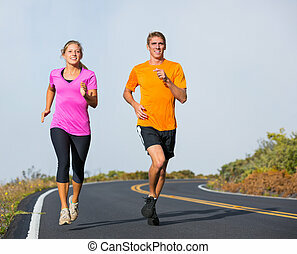 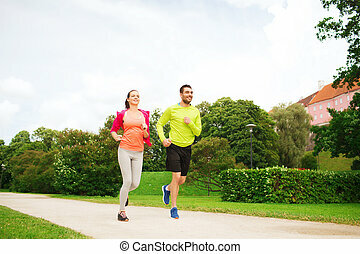 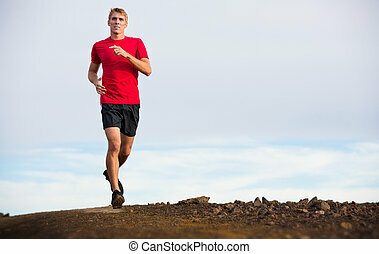 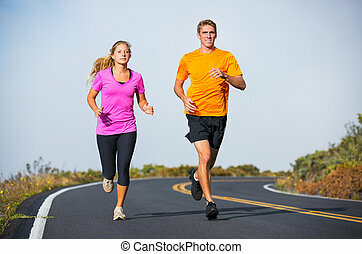 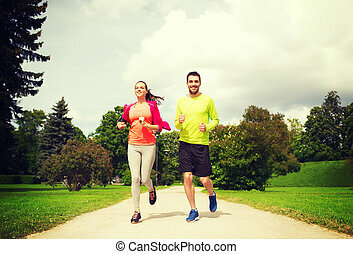 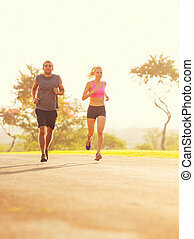 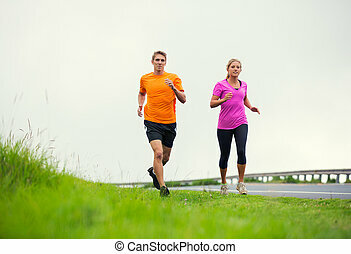 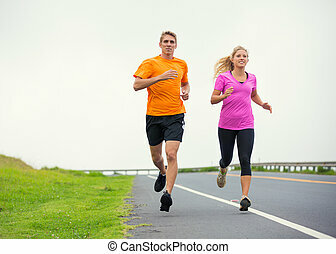 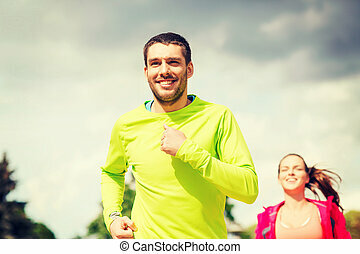 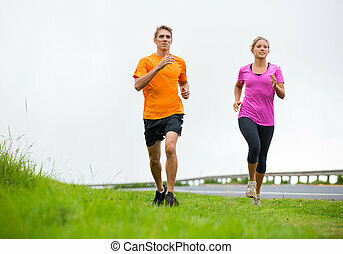 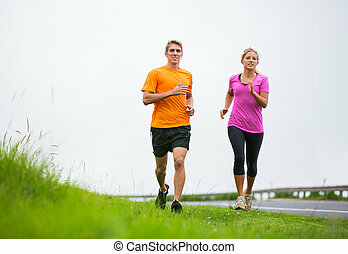 Runner couple exercising outside as part of healthy lifestyle. 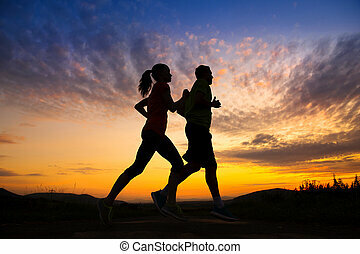 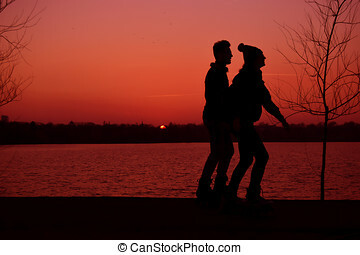 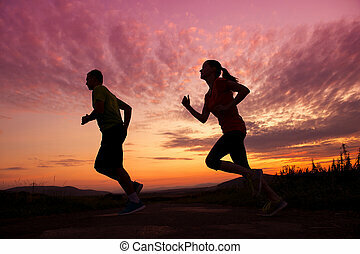 Silhouette of man and woman running jogging together into sunset.